TuneBoy QS tuned and have some info and downshifting surge gone! The premise is that I, along with many of you I've PMd with, have noticed surging on downshifts. So I wanna get rid of that. Re-read the first 36 pages of the huge TB pdf and read that if the bike surges forward on a downshift, the "Blip_H" table value needs to be RAISED at the rpm and gear you notice the surge at. So after a thousand miles or so using this QS, I know I have had surging on many downshifts in most gears between 2k and 7k rpms. So I opened up the TB Trim (TBT) program and noticed the values, which are in % throttle btw, were pretty low under 7krpm. Around 3.0 and 4.0. I also noticed that all the other values were increasing from low rpm towards high rpm. So I went ahead and changed all values to tick up from 2krpm in 2nd gear through 6th gear at 7krpm. I started at 10.0 and incrementally went up to 10.2, 10.3,10.5, 10.7, 10.9, 11.0, 11.2, 11.3, 11.4 and 11.5. This catches up to the preprogrammed values of 13 and upwards. Shoulda taken a picture. Next time. Changing values in any table is done with "page up/down" if you didn't know that. That important nugget is buried in some weird page about the A/F ratio table. LOL. 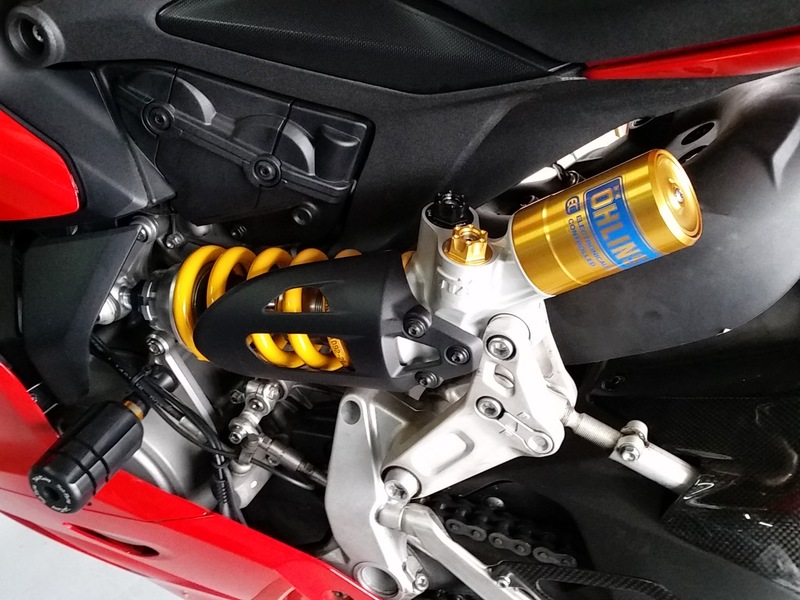 I saved the new trim file and loaded it in the bike with my Akra tune. Went on a test ride and was extremely happy that 90% of all surging is gone. NICE!! Some lower rpm shifts under 3krpm need a higher value but it started sprinkling so I came in for a drink haha. 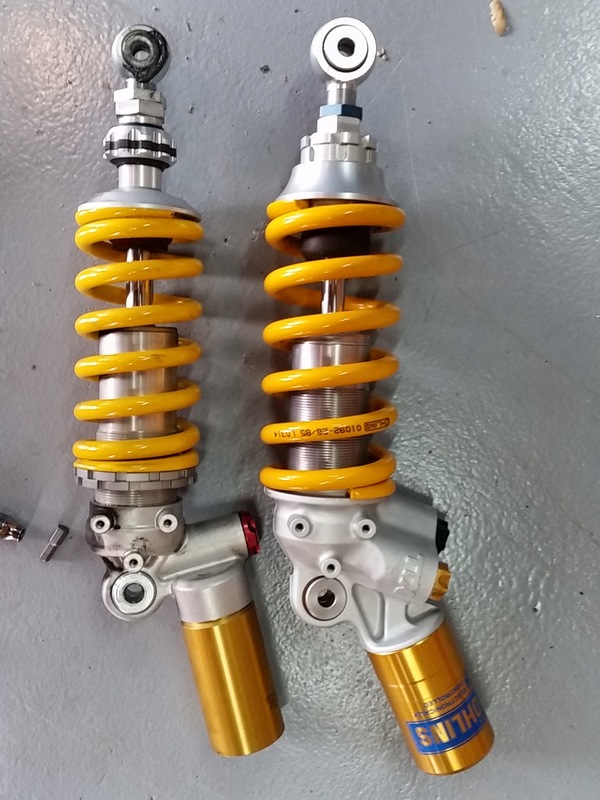 Oh, and new Ohlins w/85nm spring pics. Riding in "P" mode for now. Hope it makes sense to those of you using TB. 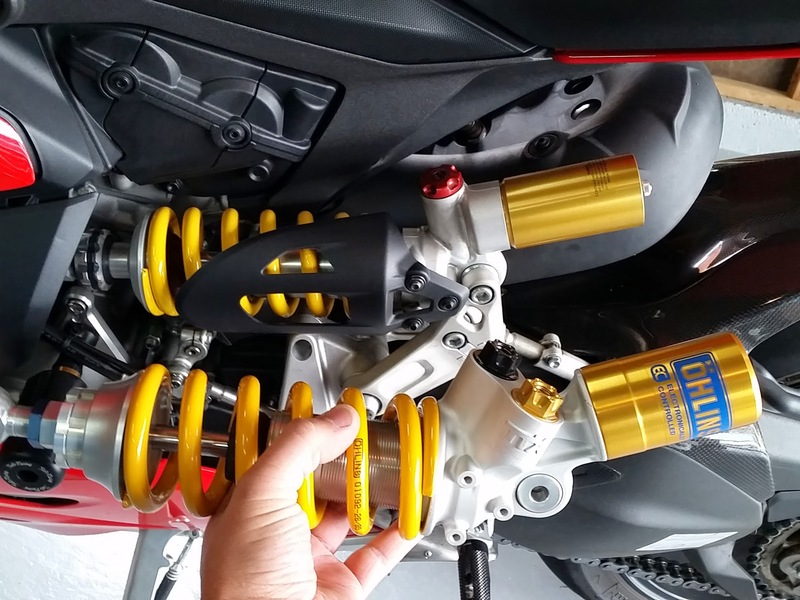 Last edited by Sergio1199Panigale; Feb 22nd 2015 at 03:43 PM. LOL, ok, how? I thought the image loader site did that. Are there adjustments? I'm unaware. That's great info Sergio, any chance you can post up a screen shot of that table? I got my replacement strain gauge from Tuneboy and all works now. I have the same surge issue as you did particularly at lower rpm. Also would be good if you could share you config options settings i.e. shift pressure and kill ignition settings. Yea I will take a pic asap. And post it as small as I can lol. Hopefully in next couple of days. I was afraid to mess the table values but figured you can always load an old trim file and start over. As far as Blip_H goes anyways. Doubt I'll ever get into a/f stuff. In other words, feel free to tweak away. It's very nice not having to anticipate a surge forward on lower rpm downshifts crankman haha. Thanks Brad. I use imgur image loader and they have no settings. I guess it depends on the res you take the pics at? If someone really hates them, pm me with how to change them. Thanks. no man, the pics are fine. what you can always do is directly upload them to the forum (go advanced and then use the paperclip symbol) , then they're attached to the post instead of being inside.